Please note that the Moroccan Office of Industrial and Commercial Property (OMPIC) has announced that starting from 1st October 2017, the Official Fees for IP matters (trademarks, patents, designs) in Morocco will be increased. Please note that invoices issued for matters for which instructions were received before 1st October 2017, will not include the increase in the official fees which we shall bear on your behalf. Our updated schedule of charges for Morocco will reflect said increase in official fees while our professional fees will remain unchanged. In an attempt to attract new foreign direct investment (FDI) to Egypt, President Abdel Fattah El Sisi had promised to reform the 1997 Investment Law No. 8 at the Egypt Economic Development Conference held in 2015. To that effect, on the 31st of May 2017, under the sponsorship of Sahar Nasr, Minister of Investment and International Cooperation, Law No. 72 of 2017 was issued. This newly updated and significant piece of legislation brings about refreshing reforms to a business climate highly in need of one, along with marking the Egyptian government’s welcoming position regarding foreign ventures to the country. The law sets upon ambitious goals, demonstrated by the institution of a set of enticing guarantees and incentives, a codifying of social responsibility, the establishment of a new arbitration center specific for settling disputes, and new investment systems – overall with an aim of making foreign investment in Egypt a more friendly, and rewarding experience. Further information regarding the law, however, should be outlined in the Executive Regulation document, which will be published within 90 days following the law’s issuance. The right of a “fair and equitable treatment” to all investors, domestic or foreign. However, the law does make a note that, contingent on a decision by the Cabinet, a preferential treatment to foreign investors may be exercised. The legislation further expands on its nature of equality, stating the guarantee that no sort of discrimination regarding gender or project size would take place. Foreign investors are guaranteed the right to a residence permit for the duration of their investment project. All investment projects are guaranteed immunity from nationalization. Besides the guarantees stated above, the new legislation also works to attract investments via a structural layout of financial incentives. Under this power, all investments will enjoy an exemption from stamp tax and documentation/notarization fees regarding corporate credit facilities and mortgage contracts, for the first five years of their date of registration – as per recorded in the Commercial Registry. Companies and enterprises’ land registration contracts will also be enjoying an exemption from the above-mentioned taxes/fees. In addition to the tax/fee exemptions stated above, all imported machinery, equipment, and tools needed for the project will only be subject to a Customs tariff (in accordance with the Customs Exemptions Law) of 2% of the value of the imported goods. In regards to more industrial and construction based ventures, the law provides the ability to import all and any molds or templates needed for the production of the project — free of any customs fees or duties, under the basis that they are imported for temporary usage and will be re-exported abroad. The law offers a set of special incentives to companies or enterprises that are newly formed within the noted period of three years following the release of the governing Executive Regulations, with the intention of establishing an investment project. Article 11 of the Law provides tax deductions of 50% to these investment projects pertaining to section A (geographic locations most urgently in need of development) and 30% deductions to the costs of projects pertaining to sector B. Sector B generally includes a large list of project types, including but not limited to: tourism, electricity, food, chemical industries and textile industries. According to Article 13, the Council of Minister, through issuing a decree, can grant additional incentives to Article 11 Projects. Such incentives include special customs offices, refunding 50% of value of the allocated land and state support through incurring training fees and other expenses. As a novel addition, the Investment Law dictates that 10% of the project’s net income can be directed towards social responsibility in certain fields, to be deductible from its annual corporate taxation. The relevant fields include environmental protection, health, cultural and social development areas, as well as vocational education, research or scientific funding and awareness campaigns. With the goal of facilitating and simplifying the investment procedure to potential investors, GAFI has created a new administrative unit, as per the new Law named the Investor Service Center. The Center shall firstly, approve all elements relating to the investment including meeting minutes, increase of capital, liquidation and activity alteration. Secondly, the Center will also receive investors’ applications for permits and licenses. As such, the Center serves as a facilitator for most Investor needs. In addition to the Investor Service Center, the Law has established Accreditation Offices, also under the jurisdiction of GAFI that examines documents required for approvals, permits and licenses for investment projects. Following inspection, they issue a certificate, confirming the investor’s compliance with all given requirements of the Law. By virtue of the new Law, GAFI and other related and involved authorities are obligated to activate new electronic systems (E-Incorporation System) within 90 days of the issuance of the Law, i.e. before the 31st of August 2017. Authorities are required to respond to the application of the incorporation of an investment vehicle within one business day from the date of application. In accordance with Article 51, any Company shall have a unified and certified national number for all of the Investor’s’ transactions. A 2% fee of CIF (cost in freight) costs for goods imported by storage projects and a 1% fee of FOB (free on board) at goods exported by manufacturing and assembly projects. A 1% fee of the total revenues gained by projects not engaging in the export and import of products. A 1% fee of the total revenues gained from exporting its products in manufacturing and assembly projects, as well as a 2% fee of the total revenue at the entry of goods into the country. A 2% fee of the total revenues in projects working in fields other than manufacturing and assembly. Article 3 of Law No. 72 of the year 2017. Article 3 of Law No. 72 of the year 2017. Article 3 of Law No. 72 of the year 2017. Article 4 of Law No. 72 of the year 2017. Article 4 of Law No. 72 of the year 2017. Article 6 of Law No. 72 of the year 2017. Article 6 of Law No. 72 of the year 2017. Article 7 of Law No. 72 of the year 2017. Article 8 of Law No. 72 of the year 2017. Article 8 of Law No. 72 of the year 2017. Chapter 2 of Law No. 72 of the year 2017. Article 10 of Law No. 72 of the year 2017. Article 10 of Law No. 72 of the year 2017. Article 10 of Law No. 72 of the year 2017. Article 12 of Law No. 72 of the year 2017. Article 11 of Law No. 72 of the year 2017. Article 13 of Law No. 72 of the year 2017. Article 12 of Law No. 72 of the year 2017. Article 91 of Law No. 72 of the year 2017. Article 21 of Law No. 72 of the year 2017. Article 22 of Law No. 72 of the year 2017. Article 51 of Law No. 72 of the year 2017. Article 33 of Law No. 72 of the year 2017. Article 41 of Law No. 72 of the year 2017. After several years marked by economic turbulence and uncertainty, two major political actions earlier this year launched Egypt towards a more optimistic and stable path. The first action is an amendment to the 1997 Investment Law No. 8, the aim of which is to attract new investments into Egypt as well as to ensure fair agreements between foreign and local investors. The law, which still requires the approval of President Abdel Fattah El-Sisi, seeks to boost direct foreign investment. It includes a number of incentives directed at creating an attractive and promising business climate for investors across various fields and industries. These incentives will create more job opportunities, increase production and exporting activities, and allow the country to produce certain goods that have been traditionally imported in the past. Furthermore, the new legislation provides tax exemptions of up to 50 percent for investments in the country’s most vulnerable and underdeveloped regions, in sectors such as electricity and renewable energy. Based on the new law, authorities will have a 60-day deadline to provide investors with all requested authorization. It offers a 2% unified custom tax on imported equipment and machinery. Investors will also be exempt from stamp taxes and fees for documenting the company, according to Article 25 of the law. In addition, Article 20 states that the total amount of foreign employees may amount to 20% of the total work force in their projects, instead of 10% as stated in the previous law. The second action consists of a proposal, as suggested by the head of the Arab Union for Direct Investment Sameh Sedki, that grants Egyptian citizenship to foreign investors who deposit either $3.5 million during a span of five years, or $5 million during a span of three years with no interest. The deposit would eventually be refunded to the foreign investor in Egyptian pounds. Middle Eastern and African investors may be interested in obtaining the Egyptian citizenship as they share a similar language, culture, and due to geographical proximity. European countries have launched similar initiatives to face their economic crises. In the United States, residency permits are offered in exchange for a $500,000 investment in a project that provides jobs for at least 10 people, or $1 million in the applicant’s own business. The ranges of efforts in the new economic zones will improve investment output and eventually lead to an expansion in direct foreign investments. These efforts will lead the country through a very tough economic reform in a stable manner. Although there are still challenges to be tackled, the country’s outlook is brighter than it has been since the 2011 revolution. Egypt is currently well positioned to compete with global investment markets. 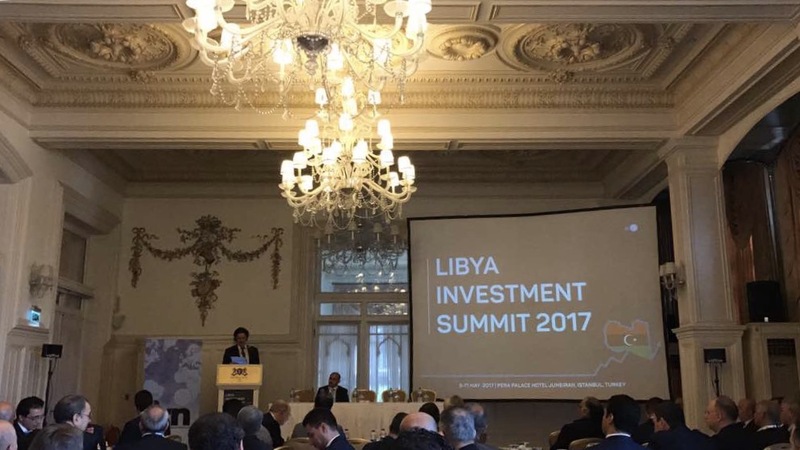 This year, we are excited to sponsor the Libya Investment Summit 2017 which is scheduled to take place at Pera Palace in Istanbul, Turkey on May 9 to 11. This summit addresses several opportunities for investment in construction, engineering, hydrocarbon and banking sectors; specifically on how the concerned sectors and regulators can work together to enable innovation. The State Council has dispatched the new investment draft law back to the cabinet for reconsideration of its conclusions relating to some of the provisions on the bill. Article 51 of law No. 17 of 2015, states clearly that the General Authority for Investment and Free Zones (GAFI) is the only responsible party to offer available land for investment which includes representatives of the landowners in the process. The State Council added that articles 53 to 67 did not determine the entitled authority to terminate the final contract for real estate investment. The government approved the movement of tax laws, including the recent application of the Value Added Tax (VAT) Law and the Law to End Tax Disputes. In addition to drafting amendments to the Income Tax Law, in order to defer applying the tax on capital gains for three years, after the Supreme Council for Investment approved the deferment decision and added tax incentives to the Investment Law, which were approved by the cabinet. The Presidential Decree No. 89 of 2017 was issued by President Abdel Fattah Al-Sisi to establish the National Council for Payments under his chairmanship. The council will work to decrease the use of banknotes outside the banking sector, support and encourage the use of electronic payments, and develop national payment systems and their supervision frameworks to lessen the risks associated with them. In recent years, Africa has faced numerous challenges, and is still facing difficult times; however, the continent still poses an investment destination. This year, the African Economic Summit took place in the Red Sea’s coastal city of Sharm El Sheikh in Egypt, between February 19th and 21st, 2016. “Africa 2016” hosted 1,200 delegates who discussed how to attract private sector opportunities and build a 26-nation free trade deal signed last year to establish a common market. Delegates, for two days, discussed pushing forward the economy of the continent that accounts for 2% of world trade, despite having an economic growth rate of more than 4%. Eldib & Co attended the grand event at Sharm El Sheikh, where they were one of a select few law firms attending from Egypt. The forum was aimed at “pushing forward trade and investment in our continent to strengthen Africa’s place in the world economy”, Egyptian President Abdel Fattah El Sisi said during his opening remarks. President Abdel Fattah El Sisi said that the conference aimed to present investment opportunities in Africa and create a direct communication channel between African businessmen and overseas investors. Promoting investment is one thing that will lead to extending Eldib & Co’s services to new areas of practice and fields. This will allow Eldib & Co to extend their services to potential investors who would like mergers or acquisitions or consultation regarding contracts from different countries within or outside the continent. “Africa 2016 forum is expected to position Egypt as a gateway for foreign investments into African markets,” Omar Ben Yedder, a member of the organizing committee, told AFP. There are high hopes that African investors lead the growth process through developing the continent’s infrastructure. “When our own people invest then other investors get convinced,” said Sindiso Ngwenya, head of COMESA. The private sector’s role will be very important in addressing energy challenges, where 645 million people in the continent do not have access to electricity. “We plan to invest 12 billion dollars in the energy sector over the next five years… so that people in Africa can have universal access to electricity,” Africa Development Bank president Akinwumi Adesina said. Africa’s economy is expected to grow 4.4 percent in 2016 and 5% in 2017 versus 3% growth expected in developed countries.